This page shows the latest Hisun news and features for those working in and with pharma, biotech and healthcare. of $490m from the transfer of certain product rights to its China-based joint venture with Hisun. 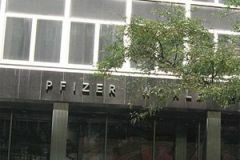 and Pfizer announced plans to work with both Zhejiang Hisun Pharmaceuticals and Shanghai Pharmaceuticals Co.
Pfizer has announced it is to work with Zhejiang Hisun Pharmaceuticals to develop and market generic drugs in China. ... Hua Bai, CEO and president of Hisun Pharmaceuticals, stated that such deals were the way forward for the company. Several joint venture deals between MNCs and Chinese players have been sealed recently: Hisun with Pfizer, Simcere with Merck and Fosun with Lonza.